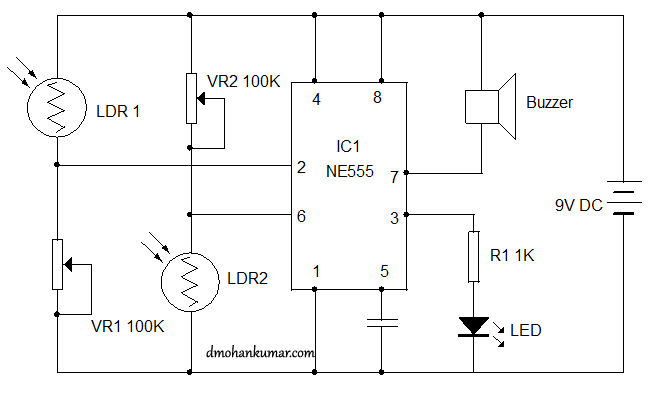 LDR1 is used to Reset the Flip-Flop and LDR2 to Set the Flip-Flop. When there is darkness, trigger pin2 of IC will be grounded and Resets the Flip-Flop. Output then turns high and LED lights. At the same time Buzzer turns off since transistor is not conducting.